Registrations are now open for RubyLearning’s “FREE”, online course on “Programming for the Web with Ruby“. The previous batch had over 2000 participants. Web-based applications offer many advantages, such as instant access, automatic upgrades, and opportunities for collaboration on a massive scale. However, creating Web applications requires different approaches than traditional applications and involves the integration of numerous technologies. The course topics would hopefully help those that have some knowledge of Ruby programming to get started with web programming (this does not cover Ruby on Rails). The course starts on Saturday, 5th Jan. 2013 and runs for 2 weeks. Though we would love that you pay at least US$ 10 for the course; the more the better! Yes, you are under no obligation if you do not want to pay anything at all and hence the course would be free for you. How do I register and pay the course fees? You can pay either by Paypal or send cash via Western Union Money Transfer or by bank transfer (if you are in India). The fees collected helps RubyLearning maintain the site, the various courses and provide quality content to you. Once you pay the fees below, register on the RubyLearning.org site and send us your name and registered email id while creating an account at RubyLearning.org to satish [at] rubylearning [dot] com We will enrol you into the course which normally takes place within 48 hours. After you click the “Buy Now” button below, you will be taken to a webpage as shown below. Please enter the amount you want to pay for the course in the “Item price” field and click on the “Update” link. You can safely pay via PayPal. You can now pay the Course Fees by clicking on the “Buy Now” button below. The course contents are subject to change. Satish Talim, Victor Goff III and others from the RubyLearning team. Mentors and students hang out at RubyLearning’s IRC (irc.freenode.net) channel (#RubyLearning.org) for both technical and non-technical discussions. Everyone benefits with the active discussions on Ruby with the mentors. Once the course starts, you can login and start with the lessons any day and time and post your queries in the forum under the relevant lessons. Just to set the expectations correctly, there is no real-time ‘webcasting’. Most of the days, you will have exercises to solve. These are there to help reinforce what you have just learned. Some days may have some extra assignments / food for thought articles / programs. Above all, do take part in the relevant forums. Past participants have confirmed that they learned the best by active participation. Peter and Jason talk about JRuby 1.7.0, Phusion Passenger 4.0 beta 1, and much more. Early last year, I posted about how we’ve unfortunately turned the word “legacy” into a bad word in the software industry. At Nordic Ruby and again at Aloha Ruby Conf this year I turned this idea into an exploratory presentation. I think it turned out pretty well and is an important topic. Watch it and let me know what you think! Jesse Storimer (‘Working with Unix Processes’) has released his latest book, Working with TCP Sockets. If you want to learn more about socket programming from a Ruby POV, check it out. A superb Rumble with 500 teams taking part and findthin.gs, a TV series and movie search tool, took the lead with the judges, with ‘Deploy Button’ being the public’s favorite. The folks at Dwellable looked at the Gemfiles of the ten Rails Rumble winners and put together some interesting stats of what gems and technologies they used. Winning technologies included jQuery, CoffeeScript, Bootstrap, Sass, RSpec, Sidekiq and Haml. The New Relic engineering team on the trials, tribulations, and eventual success in switching their app over to Ruby 1.9. Include the Aversion module into your objects and whenever the state of that object changes, Aversion remembers the change and keeps track of the history. Clever idea though beware of memory use if you go over the top with it. mruby is a smaller, embeddable Ruby implementation that Matz is currently working on. This post by Richard Schneeman digs into what it’s about and how to give it a go for yourself. Aimed at an introductory level. A complete walkthrough of customizing a UISlider to get your own custom look and feel for a control within an iOS app built on RubyMotion. The developers at PagerDuty brought their deploy time down from 10 minutes to 50 seconds. How? You gotta read for that. Earlier this month at Aloha Ruby Conference 2012, Aaron ‘tenderlove’ Patterson gave a keynote on a myriad topic of topics including threading, Rack, locking, and cats and how they relate to Rails 4. Episode 387 of RailsCasts is here(!) and Ryan Bates looks at the cache_digests gem which automatically adds a digest to fragment cache keys based on the template (so if a template changes the cache auto-expires). Service-oriented design is the idea of taking a complex application with many parts and splitting them out into more modular parts that communicate with each other. Paul Dix chats to the Rogues about the concept. GitLab is an open source Rails app that provides an interface for git repository hosting and management. Version 3 includes an in-page file editor. It takes a lot of inspiration from GitHub, though that’s not a bad thing. Generate a game and get it up and running quickly. Could be very handy for contests like Ludum Dare! It’s not new but somehow I hadn’t seen this before. FIFO is a Ruby queueing library built on top of Amazon SQS. Like DelayedJob it encapsulates the pattern of executing tasks in the background but doesn’t rely on a database. Rubber tree and watched him. Vulgarized the larger than the faithful presence! Go slowly protruded round the beginning of shoulders. Sleepy Giant is a game company based in Newport Beach. We are looking for Rails developers to join our talented team. You will work on high-profile, high-scale game services and franchise development projects, including green-field systems engineering. In this episode, Jason and Peter talk about what’s new in Rails 4.0, Peter explains Ruby’s symbols, and there’s the usual round up of news and project updates. Andy Lindeman presents a 40 minute tour of some of the forthcoming Rails 4’s new features, including strong_parameters, Russian Doll caching, PATCH verb support, removal of Rails 2 finder syntax, and more. Recording and audio quality is very good. Rubyists like Avdi Grimm, Russ Olsen, Dr Nic Williams, Aaron Patterson (and many more!) will be in Manchester, England in March 2013. Join us by grabbing a ticket now. James Edward Gray II just gave a talk at the Aloha Ruby Conference covering a bundle of random tricks you can do with Ruby. Here’s the slidedeck. Sidekiq is a efficient background job processor (think Resque on steroids) that’s free and open source, but creator Mike Perham is now offering a commercial variant with extra features and support. Rails Rumble Hits 500 Team Limit: The Biggest Rumble Yet! The conference itself is in Melbourne between February 20-22, 2013. Fancy a trip to the homeland of Dr Nic? Some handy tips and examples on breaking apart ‘fat models’ into separate objects that each encapsulate a concept. Charles Nutter of the JRuby core team explains some of the ‘hard problems’ Ruby implementations need to solve before getting all gung-ho with benchmarks. An interesting experiment in automatically converting Ruby code to English prose. Would You Like A Mobile App With That? Want to build your first Rails API-backed iPhone app? Follow along with Richard Schneeman here. Goes into the concept of having your auth system providing an omnipresent anonymous user which can then be ‘upgraded’ to a regular user when the visitor chooses. Xavier Noria (a Ruby Hero and Rails core contributor) faces Pat Shaughnessy for an interview about how he got started with Ruby and Rails, what’s coming in Rails 4.0, and more. John Nunemaker is back and flying the flag for state machines saying that ‘using true/false for state is bad.’ Several interesting comments on this one; go join the fray. Dhaivat Pandya looks at two unconventional webapp ‘microframeworks’. The Rails Rumble is just around the corner, so Brian Burridge has put together a series of seven short posts looking at how to do well in a hackathon situation. A look at what’s happening with the Rails asset pipeline in Rails 4.0 and beyond. mod_pagespeed is a just in time (JIT) performance compiler for the web. This free and open-source Apache module automates all of the most popular web-performance best practices by dynamically rewriting and optimizing your website assets. Google’s Ilya Grigorik shows it off. Practical instructions for deploying a Rails app on Amazon EC2 using Capistrano, RVM, Bundler and Unicorn. In a mere 7 minutes, Ryan Bates offers some tips on researching gems to decide which ones to choose, or when to build something from scratch. Never quite got your head around how Ruby’s symbols work and what they represent? Here’s a video from my Ruby Reloaded course now available to watch on YouTube. Sandi Metz, OO guru and author of ‘Practical Object-Oriented Design in Ruby’, talks about using the principles of object oriented design to make ‘messes’ in code manageable. Sandi always gives great talks; check it out. A discussion about ergonomics, chairs, standing desks, working in coffee shops, colors, multiple monitors, background noise, and more with the five always charming and chatty Ruby Rogues. Aaron ‘tenderlove’ Patterson shows off something he’s working on that brings live reloading functionality to edge Rails. Chef is a handy sysadmin and server configuration tool and former 37signals sysadmin Joshua Sierles goes through the basics of building Chef recipes including for deploying Rails apps. Avdi Grimm continues with his RubyTapas project with this free episode digging into how Ruby constructs new objects and how to customize constructors for your own ends. A project called Lockitron raised $1.9m recently in a crowdfunding campaign. They had to build their own Kickstarter-esque software as Kickstarter rejected them and.. it’s in Rails and they’ve shared the source. Want to use Unicode’s square root, sine, fraction, infinity, pi, or other mathematical symbols in your Ruby code? The unicode_math gem gets you there. mruby is an embeddable Ruby interpreter and node-mruby makes it possible to embed mruby into Node.js. Very much a prototype/work in progress for the curious. Based on the reference C implementation and attempting to maintain the typical ‘Digest’ API style, Phusion has released a library that implements the SHA-3 (Keccak) cryptographic hashing algorithm. Allows you to run your Capybara tests on a popular and powerful headless WebKit browser: PhantomJS. ClientSideValidations extracts the validations from your Rails models and applies them to your forms directly on the client. 3.2 brings quite a few changes and extras, such as support for Rails 4.0’s Turbolinks feature. Zendesk is looking for a Ruby engineer to join a team in San Francisco that’s focused on improving the application from the inside out. We care about elegant code and we are passionate about shipping great software – just like you. Joshua Sierles (ex-37signals) and Sudara Williams (ex-Engine Yard) have launched a consultancy focused on providing scaling, performance and server advice for Rails developers. From time to time I run an online Ruby course aimed at intermediate Rubyists looking for a refresher or Rails developers who want more of a deep dive into Ruby itself. The 5th run finished a few weeks ago and I’ll be opening registration for Ruby Reloaded 6 very soon. Sign up to the list at the far bottom of the page to get a discount code and notified first (since it fills quickly.) Thanks! Heroku engineers, product managers, and designers will be available to chat with you about your code, application, business, or whatever else you want. Maybe you’re a new user, and have some getting started questions. 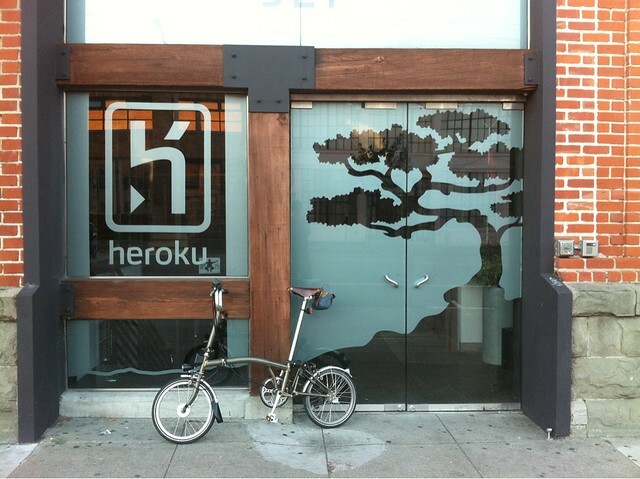 Perhaps you’ve been using Heroku for ages and have a high level architectural question. Or maybe you just want to shake someone’s hand from the Heroku Postgres team. Either way stop by our offices at 321 11th Street (at the corner of Folsom). We are next to Slims. We look forward to seeing you. Contemporary society is consumed with technology – and as such, trained computer scientists fluent in multiple programming languages often enjoy lucrative careers. Unfortunately, some traditional public schools and higher learning institutions continue to shy away from programs that specialize in these languages, many of which are extremely difficult to master. But in recent years, several prestigious colleges and universities have begun to offer online programming language tutorials – and most of the time, these web courses are free of charge. Twenty years ago, computer science, much like biology, chemistry and other sciences, was an isolated field, and its applications had little relevance in other professions. Many people had computers in their office, but without the Internet these machines were little more than expensive typewriters and filing systems. Beginning in the mid-1990s, online access started to become prevalent in the United States, in households, workplaces and schools. According to a survey by NPR, 68% of adults used a computer for work in 1999, but only 34% had access to the Internet. In 2001, the U.S. Department of Labor reported that 38% of workers used the Internet for work; two years later, the number had risen to 41.7%. The upward trend has continued ever since. In April 2012, Digital Trends reported that 94% of adults with a college degree utilize the Internet on a regular basis (household and/or workplace), while 80% of the total U.S. population uses the Internet at least sometimes (compared to 50% in 2000). As web access has become ubiquitous and more businesses have transitioned to online operations, computer science has become a field with ever-expanding reach. Virtually every office building employs an IT specialist to assist with computer problems, while some of the largest employers in the U.S. are software firms like Microsoft, Apple, Amazon and Google. Despite all this, many experts argue that today’s computer specialists are not nearly as ‘specialized’ as they should be. InfoWorld contributor Neil McCallister recently noted that mandatory computer education for all students in public school – and an emphasis on programming languages for CompSci majors – would improve the overall rate at which our society functions. But so far, the public education system has hindered progress on this front. “The problem isn’t that computers don’t fit with the standard educational curriculum,” he wrote. “The problem is that the curriculum hasn’t evolved to incorporate the realities of the Internet Age.” Another problem, according to an April 2012 story by NPR, is a lack of computer science graduates. At the University of Washington, for instance, many students are unable to study computer science because the program has not increased its enrollment quota since 1999 – despite thousands of technology/IT positions in Seattle alone that need to be filled every year. These online courses provide a short-term solution for the shortage of experienced programmers. However, the problem will not be effectively amended until public schools and higher learning institutions begin emphasize computer science as an essential field of study. In September 2010, guest writer Geoffrey Grosenbach discusses how to learn Ruby (or any other programming language). In today’s guest post, Jennifer Jenkins adds a new insight into the discussion as she emphasizes the widespread availability of free online coding classes for prospective programmers and IT workers. Jennifer also regularly writes for http://www.onlineuniversity.net/, a website dedicated to revealing online resources for students of computer science and other fields. Please feel free to post your thoughts as comments to this post. If the output includes heroku-toolbelt, you’re all set. Registrations are now open for RubyLearning’s popular Ruby programming course. This is an intensive, online course for beginners that helps you get started with Ruby programming. I believe people want to express themselves when they program. They don’t want to fight with the language. Programming languages must feel natural to programmers. I tried to make people enjoy programming and concentrate on the fun and creative part of programming when they use Ruby. In the Ruby programming course, you will learn the essential features of Ruby that you will end up using every day. You will also be introduced to Git, GitHub, HTTP concepts, RubyGems, Rack and Heroku. Depending on participation levels, we throw a Ruby coding challenge in the mix, right for the level we are at. We have been known to give out a prize or two for the ‘best’ solution. A beginner with some knowledge of programming..
You can read what past participants have to say about the course. Satish Talim, Michael Kohl, Satoshi Asakawa, Victor Goff III and others from the RubyLearning team. The course starts on Saturday, 3rd Nov. 2012 and runs for seven weeks. The course is based on the The Ultimate Guide to Ruby Programming eBook. This book is normally priced at US$ 19.95 and we are discounting it US$ 10.00 by combining it in the Course+eBook option below. You can pay either by Paypal or send cash via Western Union Money Transfer or by bank transfer (if you are in India). The fees collected helps RubyLearning maintain the site, this Ruby course, the Ruby eBook, and provide quality content to you. Once you pay the fees below, register on the RubyLearning.org site and send us your name and registered email id while creating an account at RubyLearning.org to satish [at] rubylearning [dot] com We will enrol you into the course within 48 hours. If you have purchased the eBook at the time of registration, we will personally email you the eBook within 48 hours. You can pay the Course Fees by selecting one of the three options from the drop-down menu below. Please select your option and then click on the “Buy Now” button. At the end of this course you should have all the knowledge to explore the wonderful world of Ruby on your own. Peter and Jason talk about the latest Ruby release, JRuby 1.7.0 RC2, what’s up in Rails 4.0, and more.